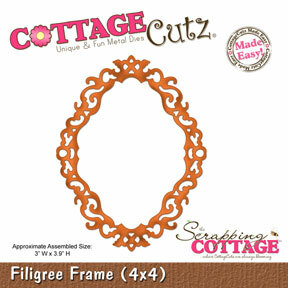 Good morning, CottageCutz fans! I hope this beautiful Sunday is treating you well. Welcome to The ThINKin' Spot! 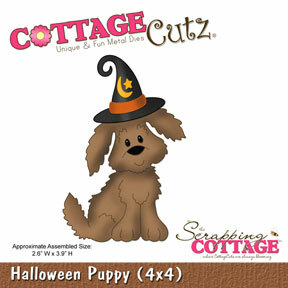 I'm here today with my first CottageCutz Halloween card using the newest Halloween dies! Woohoo! This is my favorite time of year for both being outside, AND creating. I guess it must be the weather, because it's absolutely gorgeous, as are all of the Fall colors we'll soon be enjoying! Lorie your puppy is adorable! I love this time of year as well! Awesome coloring,as always!! This card is so cute, Lorie! I love that background DP and all of the depth you created with the embellishments. Great job! Adorable! You do amazing things with these punches! !